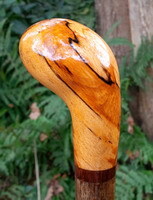 A Pistol Grip of Spalted Beech, mounted on a knobbly Hazel shank with an West African Mahogany spacer and tipped with a brass ferrule. Length - 36 1/4". 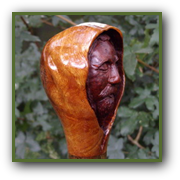 Walking Sticks and Canes, Hiking Sticks, Thumb Sticks, Market Sticks and Carved Bird and Animal Walking Sticks, Handmade in Norfolk. 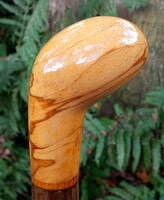 A Pistol Grip handle in Spalted Beech, mounted on a lightly mottled Hazel shank with a Mahogany spacer and tipped with a polished brass ferrule. 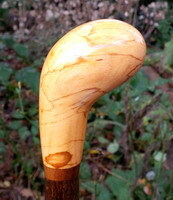 A pistol grip of Spalted Beech, mounted on a Hazel shank with a Yew spacer and tipped with a polished brass ferrule. 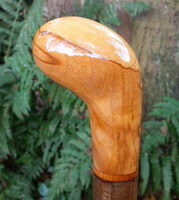 Length - 36". 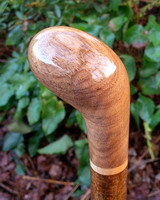 A pistol grip of well figured Burr Wytch Elm, mounted on a rustic Hazel shank with an English Walnut spacer and tipped with a polished brass ferrule. Length - 36 3/4". 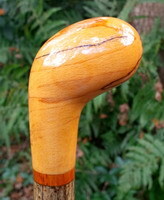 A pistol grip of Spalted Beech, mounted on a Hazel shank with an English Walnut spacer and tipped with a polished brass ferrule. 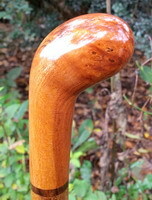 Length - 36 1/2". 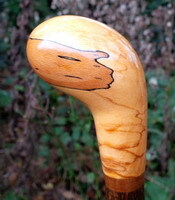 A one piece Hazel Knob Stick with a medium weight stripey golden shank and a slightly curved top portion. 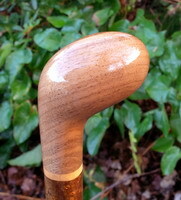 Tipped with a polished brass ferrule. 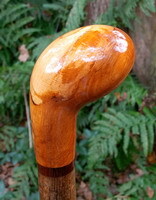 Strong, simple and very comfortable. 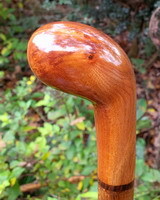 Length - 38". 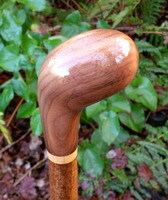 A Pistol grip of American Black Walnut, mounted on a Hazel shank with a spacer of Spalted Ash and tipped with a polished brass ferrule. 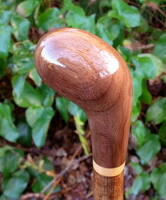 A pistol grip handle of well figured English Walnut, mounted on a lightly mottled Hazel shank with a Sycamore spacer and tipped with a polished brass ferrule.